A dash camera is now more useful than ever before. With so many road incidents, having actual footage can come in handy. Even deterring verbal and physical violence has been seen due to a simple dash camera. The best cheap dash cameras are now as reliable as some of the premium cameras. 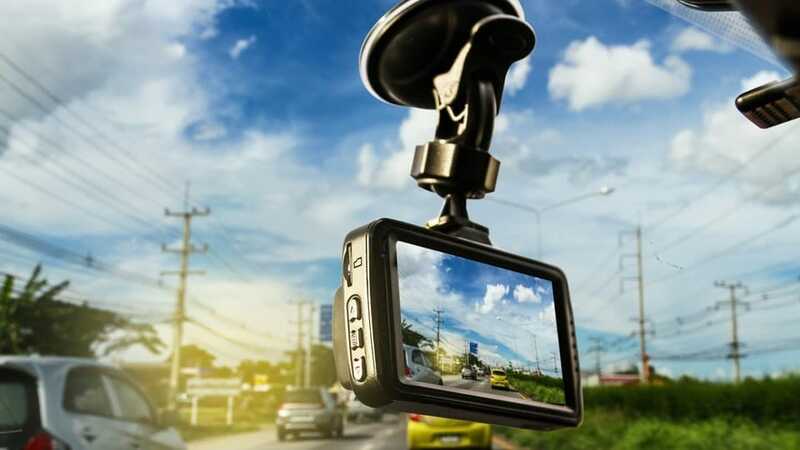 With quality images and plenty of added functions to make the user ’s life easier, dash cameras can be used for a purpose even when on a budget. There are so many features to look for with new dash cameras that it can be difficult to remember all of them. At the same time, it might be worth having a look at some of the most important characteristics to instigate an informed decision. From standard video recording quality to HD videos in 720p or 1080p to amazing 4k videos, there are a few considerations to make. First of all, a better frame rate comes with higher image quality. But users also need to realize that higher image quality also comes with larger files. The lens of the dash camera is crucial. A wide field of view is often recommended. Users can rest assured that most of the leading designs on the market actually come with a wide field of view. Among the advanced features, high dynamic range might actually be the most important. It represents an adjustment against bright lights to avoid underexposing the darker parts of the image. This function is useful in situations such as driving in bright sunlight or when driving in tunnels. The following products combine some of these top characteristics. Can a really good dash camera be available in the $50 budget? The next options show this is possible with great video image quality as well. Why we like it: With an f 1.8 aperture, the camera is a top choice for quality image recording, even in low light conditions. The camera comes with a unique design. 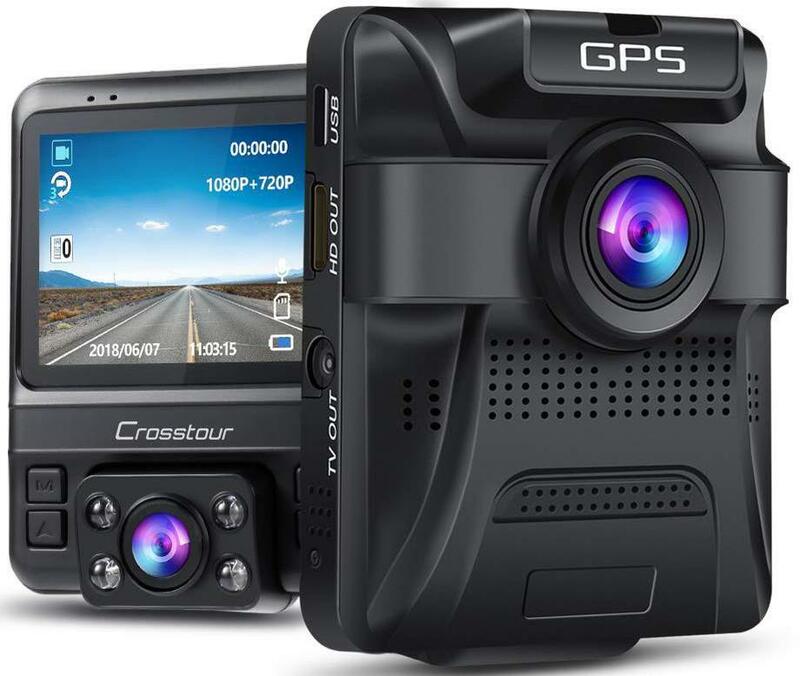 It actually resembles a compact camera more than a dash cam. But regardless of its design, it comes as one of the modern options which are easy to mount in the car. It also comes with a fully digital display. Drivers can use the display to get a better perspective on what they are actually recording. The lens comes with a 170-degree lens which is perfect for capturing images on the road. This wide angle lens can be considered as a good standard for the daily driver. The camera is also made to deal with any possible parking issues in its vicinity, even when the car is not running. 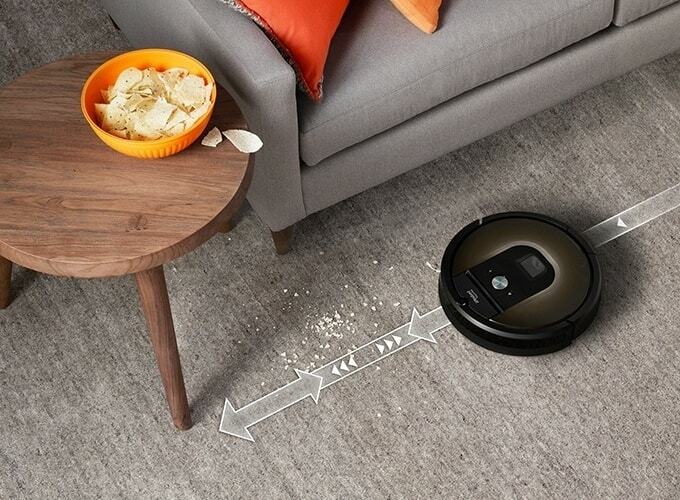 For this purpose, the built-in motion sensor proves its abilities. When it comes to accessing the images, this is done through data transfer from its memory card. The dash cam comes with an included 32GB SD memory card. Some of the features of the camera show the long list of optimization changes the manufacturer has made. For example, the low light recording performance is aided by the WDR and HDR technologies. Clear videos are now possible as a result. 1080p recordings also look good on a monitor. With the help of a mini USB cable, the images can also be directly transferred to a laptop. When it comes to image quality, users also need to know the camera comes with stabilization technologies. For example, it automatically detects shocks such as those at accidents and it starts recording immediately. Another advanced function in use is the continuous recording with overwriting. Simply put, the camera will record over old footage when the memory card is full. This is programmed so that the camera never stops recording. With simple installation and an included suction mount, the camera can be reliable for most drivers. Based on a 1080p recording, HDR, WDR, and overwriting capacity, the camera is well-equipped for all recording needs. Why we like it: The camera is one of the cheap options for cloud storage and quality images. Designed with a compact size, the camera is installed within 10 minutes. All the needed accessories are included by the manufacturer. It comes with reliable results, especially due to its low weight. Such a compact camera can remain in its place, even when driving on off-road conditions. The camera stands out with its app integration. It is why its design is only completed with an actual smartphone. All of its images are transmitted to a cloud storage system through the smartphone. Furthermore, it allows users to create their own system where every car even is recorded and saved automatically. Using the Nexar app, the camera works directly with a cloud storage system. But Nexar goes even further. It offers 1-click reports for accidents. These reports are quite complex. They include actual footage, g-force information, and location information. Automated functions are also highly valuable. For this purpose, the camera starts recording automatically when the car starts and stops recording when the car is stopped. All of this is offered on the base of cloud storage. Speed tickets are another major problems drivers have to face. Whenever such an instance occurs, Nexar can also come up with a direct traffic report on the speed of travel. Based on the Nexar app, the camera represents one of the solid solutions mainly to cover traffic incidents. 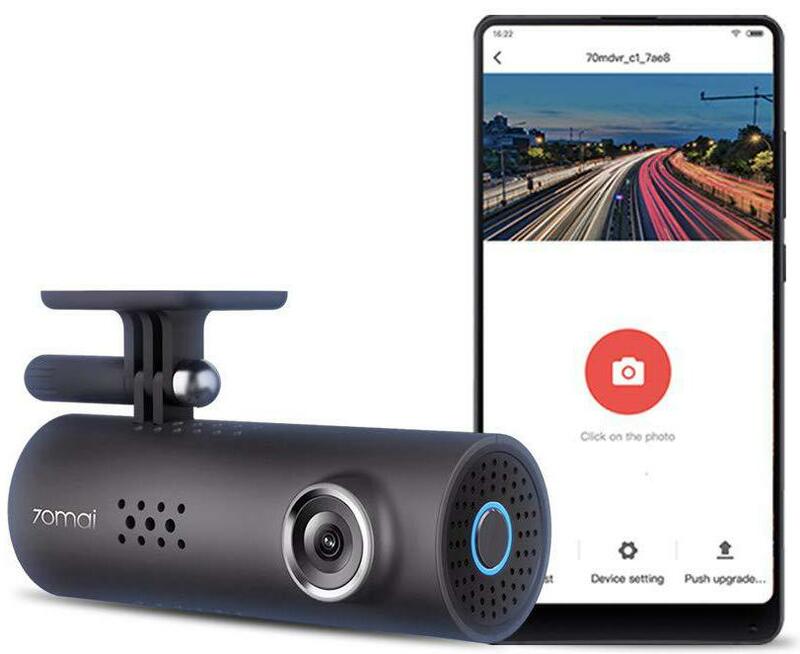 Those in love with smartphones will quickly find the purpose of the Nexar camera with its unique cloud storage approach. Why we like it: Using a Sony image sensor, the camera can record high-quality images at HD resolution. 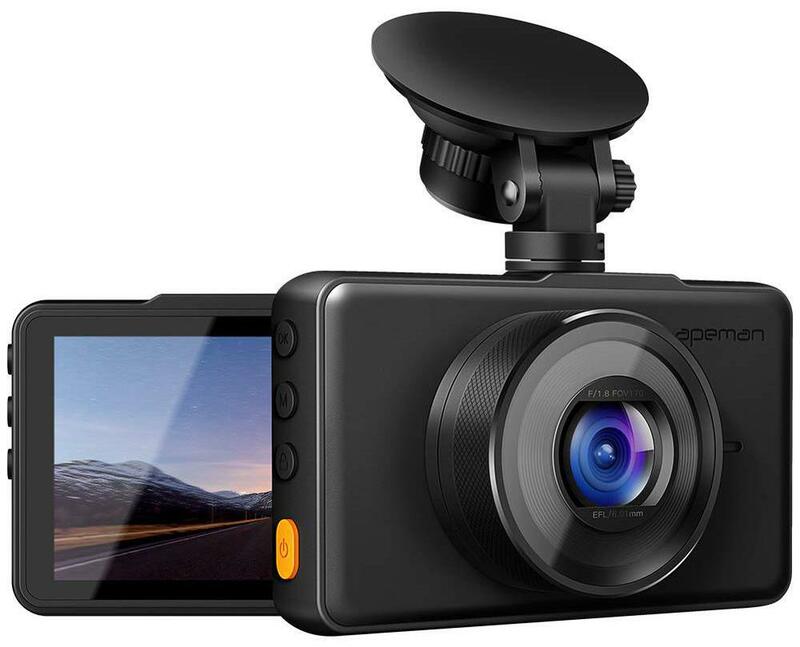 With such a compact design, the dash cam can even go unnoticed from the outside of the car. It is very easy to install and ready for action in minutes. Even with such a small body, the manufacturer has still managed to install a microphone to record sounds. On the sides, the camera comes with USB connectivity, a TF card slot, and a speaker. There is a built-in battery in the camera as well. Some of the cams with such batteries are seen as the most practical choices. Its speakers can work with playback but the can also be part of a more complex voice control system. The camera recognizes the human voice and it gives the driver the opportunity to focus on the road and not on its controls. One of the most convenient dash camera features comes with built-in WiFi. It is the base for immediate data transfer which can be used in different ways. For example, the camera works with smartphone integration where the data can be synchronized immediately. It allows the passengers of the car to view real-time images. At the same time, files can be transferred to a smartphone easily in case of an accident. The good news is that the camera can help the driver in certain situations. For example, it can detect accidents as they happen and it can start recording. These recordings are programmed on the internal memory which is only used in case of emergencies. Of course, there are many ways in which the 130-degree lens can record images. Recordings with or without sound are possible. It is also important to note the WiFi functionality also has its own switch and it doesn’t have to be on at all times. Most importantly, the recorded images are saved in 1080p HD quality. They are clear even on larger monitors. The camera records these images continuously. When the memory card is full, it will start overwriting older images with its continuous recording approach. With a compact size, integrated speakers and microphone, the camera is up to date with the latest technologies. Why we like it: The dual cameras are recommended for monitoring the surrounding of the car, even when parker. The dual cameras are highly capable. They work to a high standard with both recordings and data transfer. Made from durable materials, they can be installed in the front and in the back of the car. As a result, they can monitor traffic from different angles. But at the same time, some users consider the setup simply for monitoring the parking area around the car. The setup can eliminate blind spots and since both cameras come with a 170-degree field of view, they do a great job for general recordings. Based on capable sensors, the images are recorded in FHD video quality. They have improved performance under certain conditions. All images can actually be previewed on the included 3-inch display. Those seeking to use the cameras for surveillance around the car will also be glad to know they come with integrated motion sensors. These sensors offer an immediate response to the movement as they start recording. Another interesting feature comes with the gravity sensor. If any sudden movement is detected, the camera also starts recording. This type of reaction is particularly useful in case of a road accident. WDR quality images are also important, especially when it comes to recording in difficult lighting. The cameras are also made with loop recording to ensure there is not stoppage due to lack of physical memory. With dual shooting capacity both in front and at the rear of the camera, the bundle is helpful for a more complete overview. Why we like it: There is nothing to indicate this camera is actually cheap, especially when considering its zinc alloy body construction. Made with durable materials, the camera is probably one of the most durable releases in its price range. With a sensor protected by a zinc alloy body, the camera does a great job when it comes to overall versatility and freedom. Even more, it can be taken on off-road adventures where a few nicks are unlikely to damage it. The camera ships with a suction cup bracket and it also comes with an included car charger. For this purpose, it can actually be a great starter pack as users don’t need to purchase the accessories separately. There is a built-in battery as well. However, the battery only works as a backup in case the power is disconnected. So the camera still needs to be connected via the car charger. Of course, there are automated processes programmed in the camera. One of them is the automatic recording on vehicle ignition. Full HD 1080p images are recorded by the camera. These quality recordings can be used on some insurance claims as additional proof. With a 170-degree recording angle, the camera does a great job at actually capturing images. These quality images are then coupled with additional technologies, such as the G-shock. The gravity sensors work by detecting camera movement and it can trigger automatic recording in case of an accident. Parking recording is also available. It is not based on the G-sensor but on the motion sensor. Whenever the camera detects motion, it starts recording. With the help of the Wide Dynamic Range, it can actually capture better quality images in harsh or low light conditions. Drivers are also able to rely on the camera for durability. The manufacturer offers a 1-year warranty for the product. However, due to its zinc alloy body construction, it can actually last for years, even in the case of an accident. With robust construction, the camera is at least as durable as some of its alternatives prices 30 to 40% more. Those willing to spend more can further improve the image quality of the dash cams. With better image sensors, the results are impressive. Why we like it: With a Sony Exmore image sensor, the camera impresses with its unrivaled image quality. The design of the camera might not be the most modern on the market. However, it is seen as discreet by many drivers and this can be even more important. Compact in size, the camera can be placed inside the car where it doesn’t draw too much attention. Drivers will find the lens on the front side of the camera. It is actually a 170-degree lens with a wide field of view. The rear of the camera or its side orientated towards the driver is where all the controls are. Recording, microphone and photo buttons are available on this side. Above the buttons, drivers can see real-time images of the traffic on the included 2.4” LCD screen. The camera’s strongest feature is its Sony Exmor sensor. Sony is known for making some of the best sensors at the moment. The physical side of the sensor is used in accordance with the H.264 video encoding for smooth playback. But it’s not all about the sensor with the camera. Since many drivers can get fixated on the image sensor, it is important to know other characteristics play their part as well. The manufacturer added a collision sensor and a parking sensor to the camera. Similarly to what is seen on other products, the collision sensor actually prompts the camera to start recording. The great part is that the camera handles large files very well. It is why it recognizes SD cards of up to 256GB. Even so, a looping function is in place. With a powerful image sensor, the dash camera can be used for crystal clear images. Why we like it: Packed with features, this compact camera is actually capable of recording images at 4K video quality. Made with a small body, the camera actually comes with a long list of features. Of course, its 4K branding is in the spotlight, but there is even more to this camera. Some drivers like to have an included digital display. Rove comes with a built-in LCD monitor which is perfect for improved usability. Under the screen, there are 5 buttons which make its operation a lot easier. The front of the camera is dominated by the f 1.8 lenses. With the impressive low light performance, the lens does justice to the powerful sensor. Apart from a great kit lens, the dash cam also comes with 360 rotation capabilities. Of course, the 4K video image quality is convenient to most drivers. It records images at 24fps. But it can also record images in full HD at 60 and 40 frames per second. A slow motion function is also added, similarly to what is seen on high-end smartphones with recording at 720p. The camera also comes with WiFi capabilities. This feature along can considerably simplify the entire data transfer process as it needs no cables or memory cards. With built-in geo-location sensors and gravity sensors, the camera is also one of the cheap capable options which can record as soon as they detect an accident. It’s also worth noting that the camera comes with a time-lapse function, which is very rare for these compact designs. With built-in GPS functions, the dash camera represents one of the best solutions to dealing with problems on the spot. It can actually record the location of accidents. This information can then be used for insurance purposes. With one of the crispest image quality recordings, the camera is capable of delivering impressive results. Why we like it: Powered by a standard 12V/24V socket, the camera is ready to record images constantly. With a stealth approach, the design of the camera embodies its low profile approach. It is easily one of the cameras made not to attract too much attention. But unlike regular stealth cams, it also comes with an integrated LCD display. With real-time images, the cameras are among the designs which allow playback and better orientation as drivers can see the direction in which it’s pointing. There is a capable lens on the front of the camera. It comes with a 170-degree angle to cover a larger field of view. Most importantly, a lens and a sensor show their quality in low light conditions. For this purpose, the lens offers good results even during the night. With 1080p video recording capabilities, the camera is among the solutions to consider when it comes to quality daytime and night time recordings. It is not overwhelmed with too many functions and apps and this means that drivers can actually use the dash cam to its capabilities. Emergency recording is one of the advanced features included by the product. It mainly targets accidents by triggering recordings. Furthermore, the camera also comes with extreme temperature resistance. This characteristic allows it to work even during the winter. Of course, it also has other unique features such as micro-USB compatibility. But its main strength lies in its quality recordings. With micro-USB compatibility and sharp images, drivers can quickly transfer the data from the capable camera to a computer. 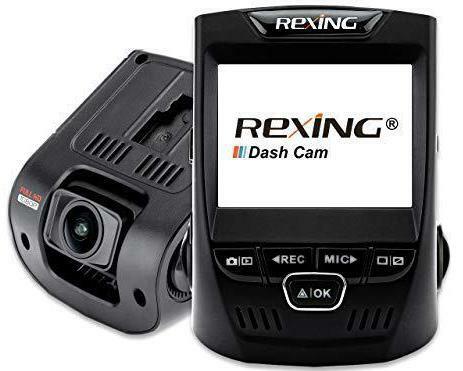 This allows the camera to be a solution for those seeking a minimalistic dash cam. Why we like it: With WDR and built-in WiFi, the dash camera mainly targets users seeking sharp images and easy data transfer. The camera is not necessarily compact. It can be quite large compared to a few other alternatives. It is why it is one of the products which are going to be seen by pedestrians. At the same time, it can also be seen by those in the front car. However, its main point is not to be the ultimate stealth camera, but to provide reliable images which can be transferred with ease. Installation is uncomplicated. Using the suction mount, it can be installed in minutes. 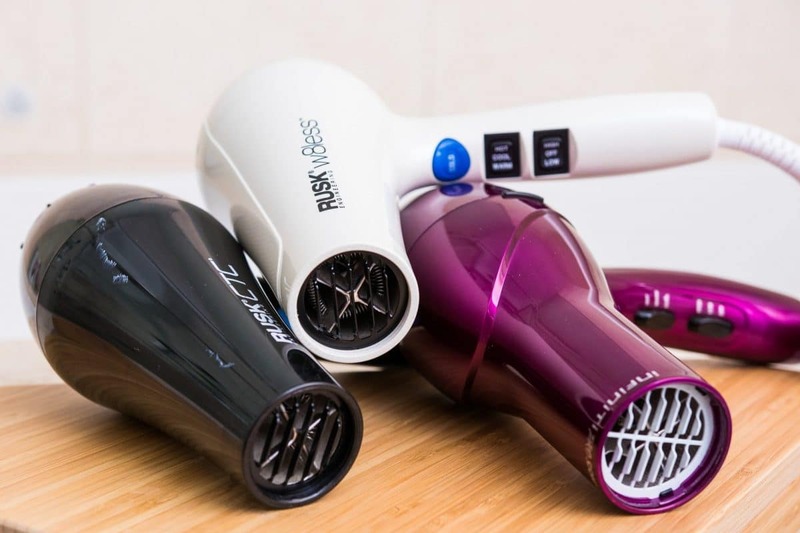 But the camera also comes with other accessories such as the micro-USB cable and the car charger to connect it to a power source. There is a trim removal tool included in the pack as well. With 1080p recordings at 30fps, the camera is as capable as its rivals. Its image quality is not necessarily better in this price range, but the built-in WiFi connectivity makes up for its appeal. All the data which is stored on the memory card can be easily transferred to a laptop or to a smartphone. 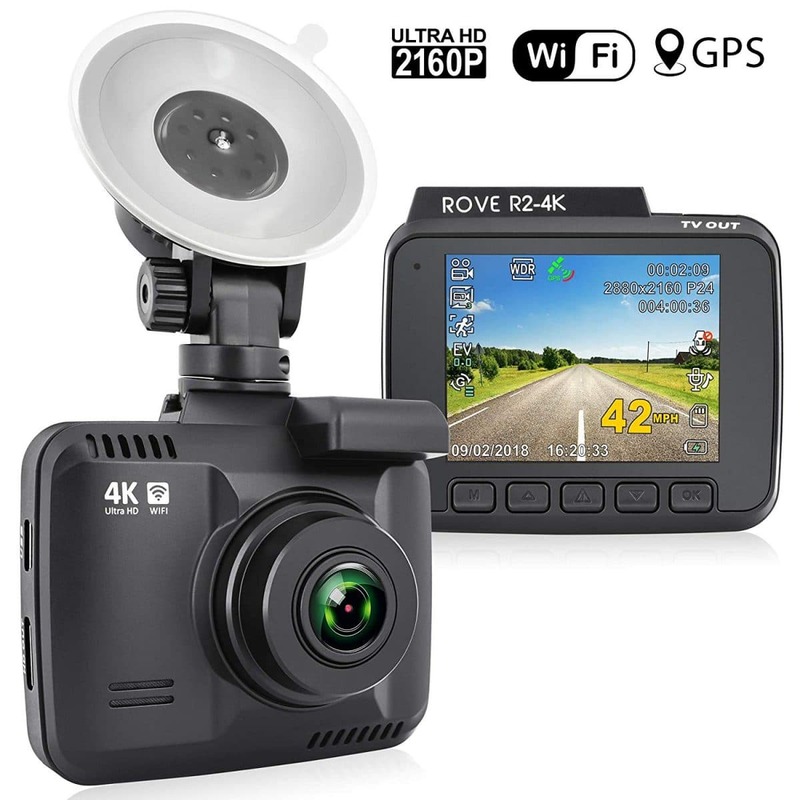 However, drivers need to know that the dash cam doesn’t actually come with an included memory card, which is often the case with the alternative products. The best part is that data transfer can be achieved without using mobile data plans. Other advanced capabilities have been added to the Byz’s dash cam. WDR allows the camera to perform to a high standard even with harsh light ahead. A G-sensor has been included to trigger the camera in the unfortunate event of an accident. Interestingly, the camera also comes with a small built-in battery. However, the camera cannot work on this battery for too long. It has just been added by the manufacturer to provide enough power to save the recordings in case of a power failure. Based on a Sony sensor, the camera provides similar images to some of the leading designs in its class. At a weight of 3.15ounces, it can also be a lightweight option given its included LCD screen. Why we like it: With a dual cam construction, the car can record both images from the car and from outside. With TV out, HD out and USB connectivity, the camera is arguably the best solution for connectivity. However, this is quickly outweighed by the fact it actually comes with two cameras. The front camera monitors the traffic. It records videos at 1080p quality. The rear camera records images from inside the car at 720p image quality. So who would benefit from such a setup? Taxi drivers are among the first types of drivers who benefit from this type of in-car recordings. In order to stay safe, they sometimes use cameras inside the car. The good news is that the added GPS function of the camera can also go a long way when it comes to personal safety. Using a Sony sensor and an f 1.8 front lens, the dash cam delivers solid low light results. It also comes with all the essential characteristics seen in this class. This includes the rare time-lapse function and the popular motion detection recording as well as accidents’ recording. However, unlike many similar cameras, it also comes with a strong body. This body allows it to run in extreme temperatures. From -20 to 60 degrees Celsius, the camera can operate under normal conditions. 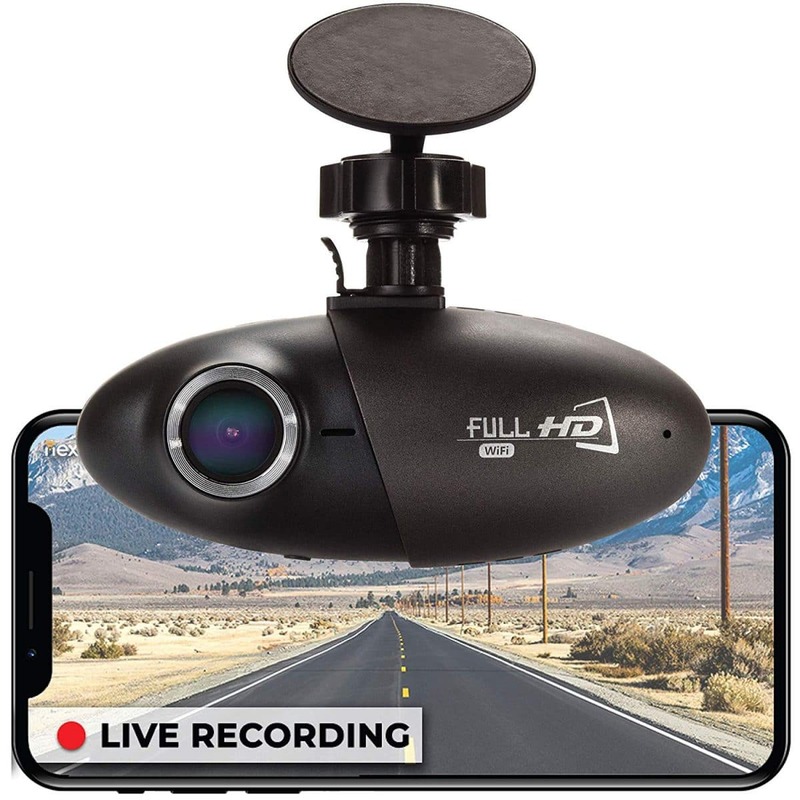 This allows drivers to record in all climates. The camera is well-equipped and it is mainly made for taxi drivers who also need to record what’s happening inside the car. Do I need to go to the car dealer to install a dash cam? A dash camera can be installed by the driver directly. All dash cameras come with complete installation instructions. Most importantly, they use suction mounts for quick installation. Is a cheap dash camera worth it? A cheap dash camera can be enough for most drivers. Even those who want HD quality images can rely on an affordable design for the best results. Most cheap cameras are now made with HD recording capabilities. In some cases, they can even record 4K videos. How can I not lose my camera’s recordings? 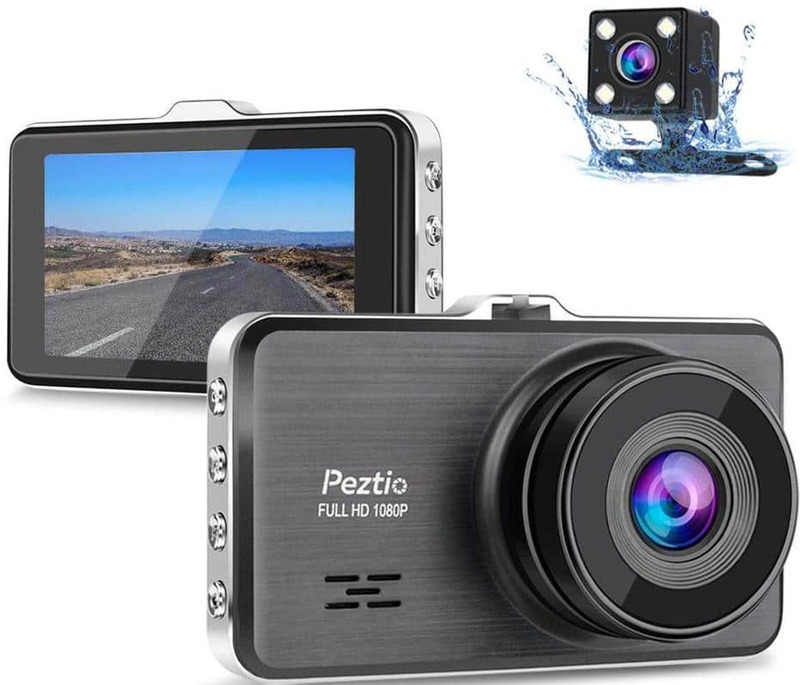 Automatic functions are added to the best dash cameras to quickly save the images in case something goes wrong. For example, if the camera gets disconnected from its power source, the internal battery will power the camera until it saves all recordings it made up to that moment. Will my camera drain my car’s battery? Some cameras are designed to work even when the car is parker. It doesn’t drain the car’s battery as it only becomes active when it detects motions. Is it legal to use a dash camera? A dash camera is legal in most states. However, those traveling abroad by car need to ensure local laws allow them to record images from the car. The days where a cheap camera was a good choice are gone. Today, even at a low price, dash cameras are able to offer complex settings which mimic what is used on expensive alternatives. For this reason, it is important to find the best options when it comes to the budget without sacrificing the most important features which make the user experience successful. The quality of the sensor is what ultimately dictates the image quality. 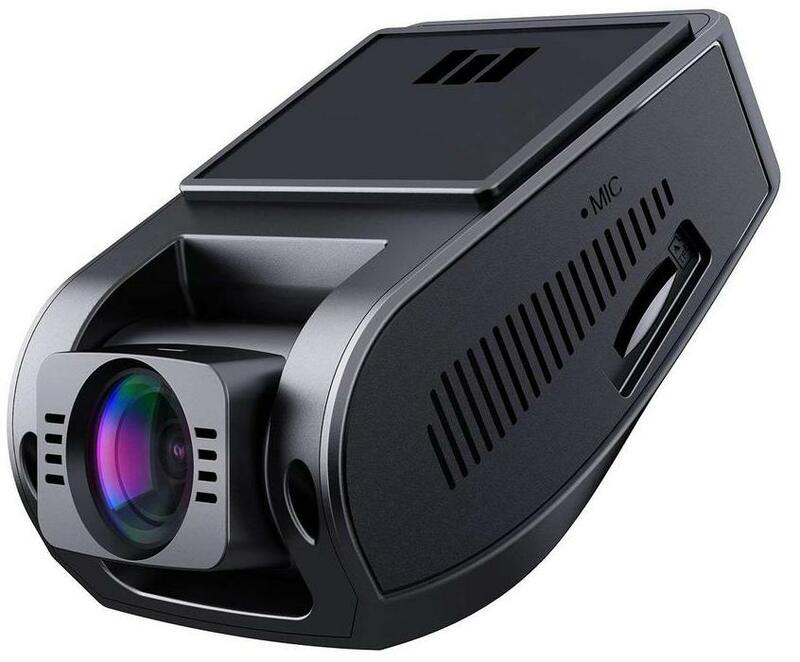 While there are plenty of great dash cams to consider at the moment, not all of them are ready to deal with the growing demands of changing light conditions. Sony makes great image sensors which are then used by various manufacturers. There are only a handful of brands which offer quality sensors and they are normally used by most dash cam manufacturers. It is not mandatory to have a built-in display. Some dash cameras don’t have a display at all. Even more, there are a few cameras which might even struggle to offer an image preview. Others are made with LCD displays which offer real-time images so that the driver always knows what’s being recorded. It is important to understand that a digital display will add to the size of the camera. If stealth is a major concern, choosing a dash cam with no digital display is what’s truly recommended. Dynamic range and all of its alternatives by name is an important characteristic which dictates how images are being captured in hard light conditions. For example, driving in a tunnel when there is only one strong light source somewhere on the horizon can lead to dark images for the rest of the areas. This can be balanced to an extent with the dynamic range. The lens quality is a major concern for quality images. These lenses are not interchangeable so that means the camera needs to come with great optics to capture the best images. The amount of light which can reach the sensor through the lens is measured by the aperture. The lowest the aperture is, the more light the lens can capture. An f1.8 aperture is considered to be the golden standard in the dash cam community as it can gather enough light even during the evening. Some dash cams fail immediately in negative temperatures. It is important to understand that most of them do not have any special seals to allow them to work in extreme conditions. However, since cars can be left outside during the winter, it is crucial to check their operating temperature range. The good news is that a small number of dash cams can work with low temperatures which can even be as low as -20 degrees Celsius. Large files are the result of HD recording. These files can be transferred to a computer, laptop or smartphone using a memory card. At the same time, wireless data transfer has become the norm over the past few years. WiFi connectivity ensures the recordings can be transferred with no additional data costs. USB data transfer is another great alternative for some dash cams. Some of the best products come with multiple methods to be considered for data transfer. In rare cases, they even come with a TV out connectivity. Automatic functions save the car’s battery life. Triggering recordings at the right time is important. For example, some dash cameras are actually programmed to start recording when approaching the scene of an accident. Other cameras are triggered by shocks specific to car accidents and start recording immediately. Even detecting motion when parked can trigger some cameras to start recording and improve safety. Automatic functions also include loop recordings. These types of recordings are the ones which overwrite old footage in order not to lose the latest recordings. Each dash camera should come with a product warranty. Most cheap cameras can offer a warranty between 1 year and 2 years for the product. 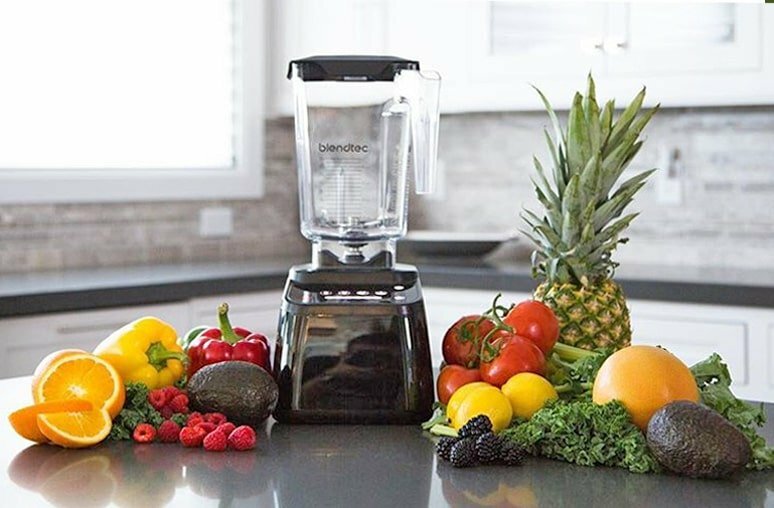 30-day money back guarantees policies are also seen in some of the best products in this category. However, since manufacturing defects can be seen more often than with expensive alternatives, having proper warranty coverage in place can save money for every driver. 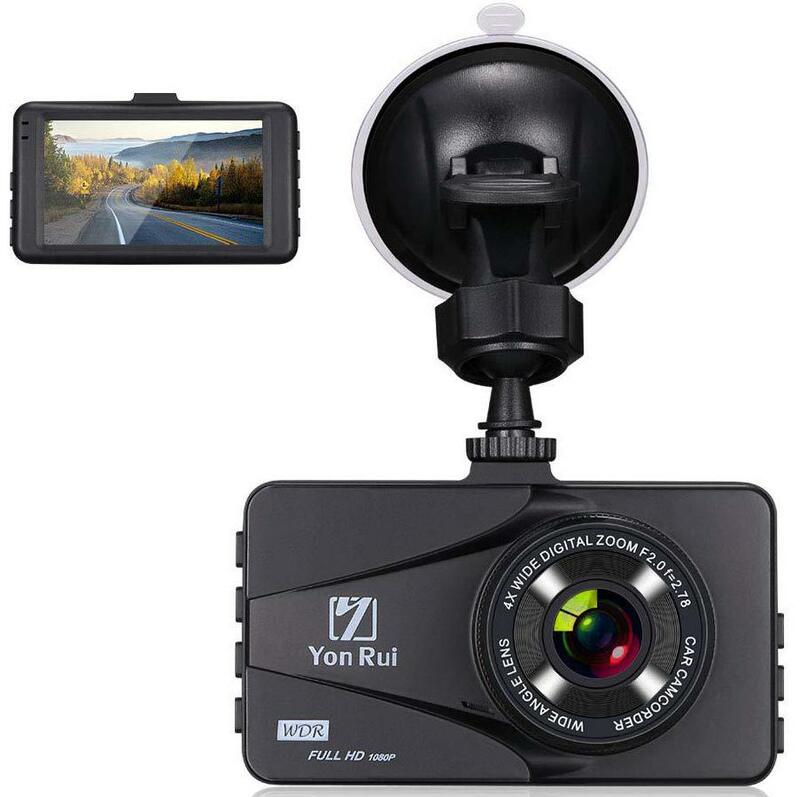 The best cheap dash camera is sometimes all that’s needed to capture images from the road. Using such a camera still needs to be simple as there are many designs which are simply too complicated. The same time it is not worth going over budget for a few extra features as most of them are rarely used anyway. What dictates a great performance is often based on flawless user experience with no interruptions. Great image quality followed by easy data transfer is also important. Unlike many other types of cameras, dash cams should actually require minimum user input. 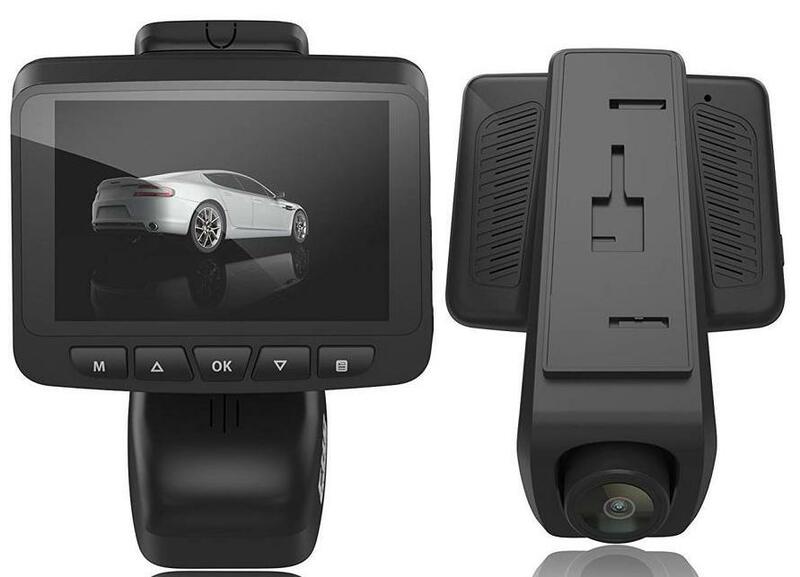 A direction which needs to be primordial is often overlooked when purchasing a dash cam. The driver should actually keep the eyes on the road. Without any distractions or required user input, the dash cam should act on its own. One of the main complaints users have about dash cameras comes with their design and operation which can distract them while driving, especially at nighttime. Choosing the best cheap dash camera also involves choosing simplicity. At the same time, dash cams which come with all the accessories needed for installation are mandatory today as well. From micro-USB cables to memory cards, drivers need to ensure they have everything needed before driving off. In some cases, SD or TF memory cards need to be purchased separately. It is best to invest in a fast memory card which is able to write data at a good pace, especially as it comes in large files as a result of HD image frame rates.